This is my yearly take on this excellent film (I did a Before / After earlier this year). There's a French DVD which is probably the most complete version of this underrated Riccardo Freda. At least a good 25 minutes from the original version was cut for the US version. The film flows so much better in the original cut. 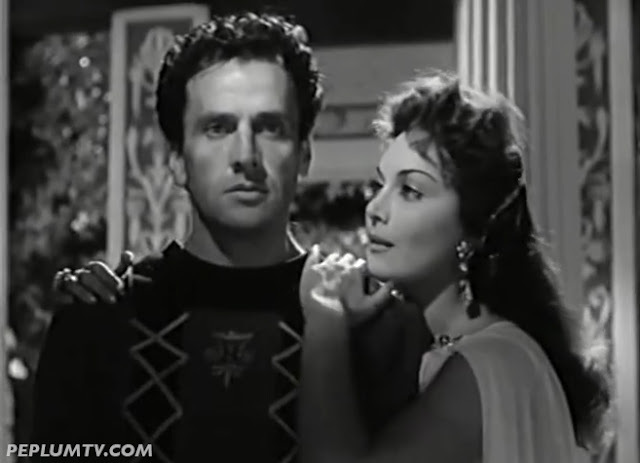 Massimo is so commanding as Spartacus and Gianna is so conniving, it's worth watching just for those two actors but there's so much more, including a spectacular arena scene. Truly an outstanding Peplum, although its connection to historical reality is pretty weak. The arena scene is really extraordinary - doubtless the best in any Peplum movie. As usual, Gianna makes a perfect Patrician villainess.